Qualified and ready for Pony Finals 2019!!! 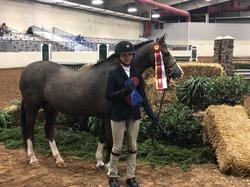 Owner has sadly outgrown and is offering an affordable low five figure lease or mid five figure sale for an experienced young rider that needs a medium pony to take her to the Children’s Ponies or Regular Division. 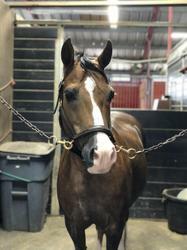 Sired by Telynau Royal Charter, he has a big stride, easy lead changes, is beautiful and jumps a 10! Elvis has done it all and is a proven winner in all divisions - from the model to the medal. He has perfect manners and is an easy keeper that requires minimal maintenance – everyone loves Elvis! Bigeq.com produced quality leads and calls from great potential buyers. We found the absolutely perfect family for our pony. Thank you for having an awesome website!